Three men were arrested Wednesday on charges of plotting to travel to Syria to join the Islamic State group and wage war against the U.S., and federal officials said one of them spoke of attacking President Barack Obama or planting a bomb on Coney Island. 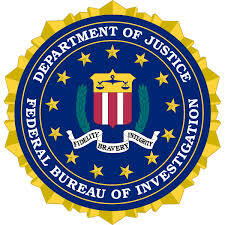 They are charged with attempt and conspiracy to provide material support to a terrorist organization. If convicted, each faces a maximum sentence of 15 years in prison. Habibov appeared in federal court in Jacksonville, Florida, and was appointed a public defender. The other two men were in custody, and it was not clear if they had attorneys who could comment on the charges. They were scheduled to appear in federal court in Brooklyn later Wednesday. Saidakhmetov is a Brooklyn resident and citizen of Kazakhstan. Juraboev and Habibov are residents of Brooklyn and citizens of Uzbekistan. Federal officials say Juraboev identified Saidakhmetov as a friend and co-worker with a shared ideology. The two exchanged messages on how to get overseas, and Saidakhmetov and an informant watched videos of Islamic State training camps in Syria, according to court papers. Saidakhmetov told the informant in September that he wanted to travel to Syria for jihad, or holy war, but that his mother had concerns about that and confiscated his passport so he couldn’t travel, the complaint said. He said he would lie and tell her he planned to go to Uzbekistan to visit relatives in hopes of getting his passport back. When he called to ask for it, she hung up the phone. Habibov operates kiosks that repair phones and sell kitchenware in malls in Jacksonville, Florida; Savannah, Georgia; and Philadelphia. He employed Saidakhmetov last fall and winter and said he would help fund his travel, though he did not mention a specific sum of money, prosecutors said. The two were spotted in Brooklyn purchasing a ticket for Saidakhmetov to travel to Turkey, officials said. The Justice Department has charged roughly 20 people with planning to travel to the Middle East to fight alongside militant groups like the Islamic State group. Those include Shannon Conley, a Colorado woman who pleaded guilty last year to trying to help the group and who authorities say was intent on waging jihad in Syria, as well as Hamza Ahmed, who was stopped on his way to Syria in November and was charged this month with lying to the FBI. So the Islamic terrorists considered killing Obama? One of their own? They are absolutely inhuman. Why are we not being told where in Midwood these guys live? Yiddishe neshomos are in danger and we are not told where they hang out? Two of the three terrorists were found to be living on Avenue O and East 10th Street.